Aubree's film, Perspective, screens at the Cape May NJ State Film Festival! Perspective, produced by Aubree Marchione, was an official selection of the Cape May NJ State Film Festival! The film had a wonderful response from the audience. Star of the film, Nick Scott, director Robert Nuzzie, composer Justin LaDeau and Aubree were in attendance to sign autographs and answer questions about the making of the film. You can buy Perspective online here. A portion of the proceeds benefits the non-profit organization, Wheelchair Athletics. Aubree Marchione and Nick Scott sell out event for OSDA/PAR! Aubree Marchione and Nick Scott performed for a sold out audience on October 6, 2011! 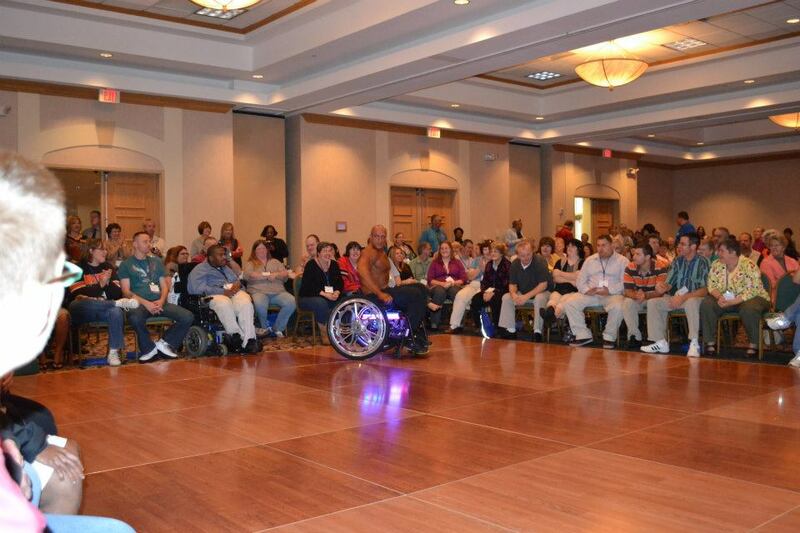 The Ohio Self Determination Association in conjunction with PAR held their annual conference, and Nick and Aubree were invited to be guest entertainers for the second year in a row! Nick Scott starting the show!